Published on 14 September, 2017. Written jointly by members of the GFDx Core Group. 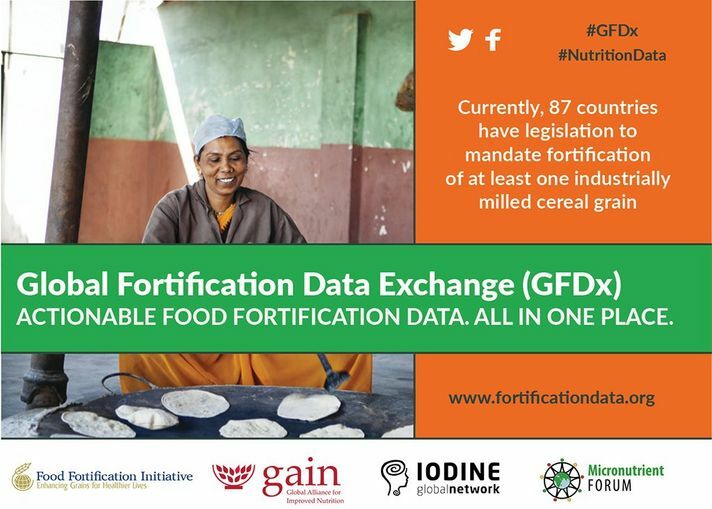 With our partners the Food Fortification Initiative (FFI), Global Alliance for Improved Nutrition (GAIN), and Micronutrient Forum, we are proud to announce the launch of the Global Fortification Data Exchange (GFDx). •	What foods are fortified with micronutrients to support population health in your home country? •	What are the legislative standards for micronutrient fortification of foods in a given country? •	How has fortification legislation changed over time, and for which foods? 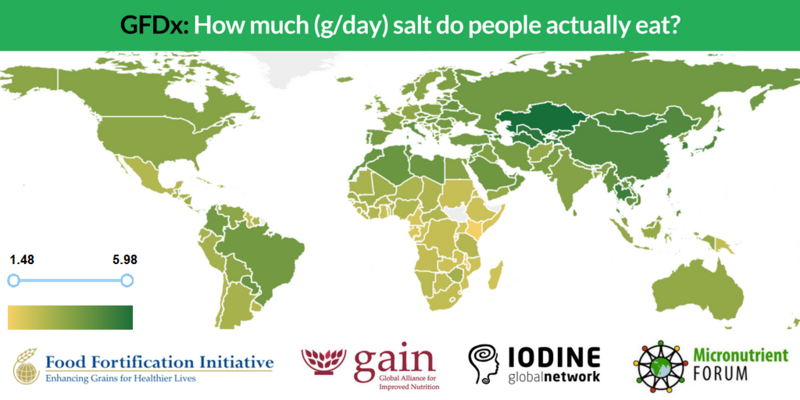 Micronutrient deficiencies of iodine, iron, vitamin A, or zinc affect billions of people globally, affecting their health and limiting their ability to reach their full physical, educational, and economic potential. 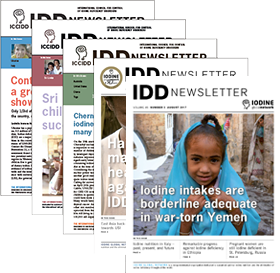 The GFDx has been designed to empower governments, donors, implementing agencies, and other members of the nutrition community to support the development of effective food fortification programs and policies. Sparked by the 2015 Arusha Statement on Food Fortification , the GFDx delivers on a collective commitment to shared data as a powerful tool for decision makers. Please visit us at FortificationData.org to learn more about the goals of GFDx and see for yourself how powerful fortification data can be in supporting impactful decision making. You can also sign up to receive GFDx news and updates as more indicators and new datasets are added. Please also join the conversation on social media, using our hashtags #GFDx and #NutritionData.